← Start working for yourself without quitting your job! * Calculation assumes that Bob is paying for a $30,000 vehicle over 4 years ($625 / month) and Jennifer is paying for a $20,000 vehicle over 4 years and then has no payments for the 2 remaining years ($416.67 / month for 48 months; $0.00 / month for 24 months). View full calculation sheet here: Bob vs Jennifer – Savings Comparison. With no returns, Jennifer would have pocketed a whopping $120,000 alone, however since Jennifer invested her savings and received an average annual return of 7%, Jennifer is now sitting on a cool comfortable $397,561.10! What??? Certainly you must be exaggerating Brent?! There’s no way that Bob’s desire to have a slightly newer, slightly more luxurious vehicle could have thrown away nearly $400,000.00 in potential returns… can it be?! Yes, that’s right. You could retire more than a decade earlier with just this one minor adjustment! Isn’t it reassuring to know that such a minor change with very little sacrifice can dramatically change your future? The reality is that most people should be capable of retiring after a maximum of 15 years of work, but end up working much, much longer because they get infected with an extremely contagious illness, one that they battle with for years, only to one day wake up and realize it; but it’s often too late… the damage has already been done. What’s this illness called? 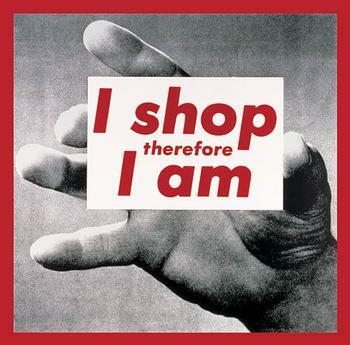 The preoccupation of society with the acquisition of consumer goods. Now don’t get me wrong. I’m not telling anyone that they shouldn’t buy things, but rather, you shouldn’t preoccupy yourself with acquiring greater quantities and more luxurious goods than you need. Every purchase that you make is essentially an exchange of your time for consumer goods. Did you know that every hour of salary that you spend now, will require you to work an entire additional day before retirement? What do I mean? If you took a single hour of salary and invested it the stock market and only received the average returns, in 30 years of time, it would pay for your expenses for an entire day, assuming your expenses neither increased nor decreased (adjusted for inflation). How’s that for a reality check? It’s time to stop spending emotionally and start making informed purchase decisions based upon your long term goals. You don’t want to be one of the people in 20 years that walks around saying “If only I had…”. Or do you? The choice is yours. Bob works as a computer programmer earning $75,000 within 4 years of entering the industry. Every year he receives an 8% increase in salary based on the new experience he’s earned just working his job. By the time he hits 11 years experience, he has enough knowledge to coordinate the launch of enterprise projects worth millions to companies, earning a cool $125/hour. Long story short, even a $20k car is expensive to pay for a vehicle. Getting a used luxury vehicle for $12k is the best bang for the buck, including comfort features you won’t get in a new $20k vehicle. As for savings, that will be highly dictated by your income. Bob would be stupid to retire after 15 years in the tech industry, where his hourly salary by that point could be near $150 to $200 an hour, if he plays his cards right. So if you’re going something you love, and it pays well, why ever retire? Sure, if you’re working slave labor type jobs like nursing, you’ll want to get out if it as soon as possible. But with the little amount of mobility offered by your salary, you won’t have any money to save after paying for rent and food, and your bus pass, because there’s definitely no money in that salary for a car, gas and auto insurance. Especially in an economy like we have today, where employers stripped away sick days, health benefits, retirement pensions, and severance packages. There’s no money left here for “savings”.